Ever felt as if God was giving you a task that’s waaay too big for you? Well, conference director Kathy Ide shares how she came to direct not just one writers’ conference, but two! And the lessons God taught her along the way will help you, too! We’re so thankful for our patrons on Patreon and the platform Patreon provides so that creators like us can be paid. Creating each episode of the podcast takes more hours than most people realize, not to mention the costs of media hosting and this website. That’s time and money we can’t use to help support our families. This month we’re doing a pledge drive. Our goal is to double our number of patrons from 10 to 20, and we’ve added two new tiers to broaden the content we give to patrons. If you’re a listener to the podcast, would you be willing to check it out and consider helping us meet our goal? We’d also love your help in spreading the word! Thank you for listening to the podcast. You’re a blessing! Kathy Ide is the author of Proofreading Secrets of Best-Selling Authors and the Capitalization Dictionary and editor/compiler of the Fiction Lover’s Devotional series. She’s been a professional freelance editor and writing mentor since 1998, working with Christian authors of all genres at all levels. 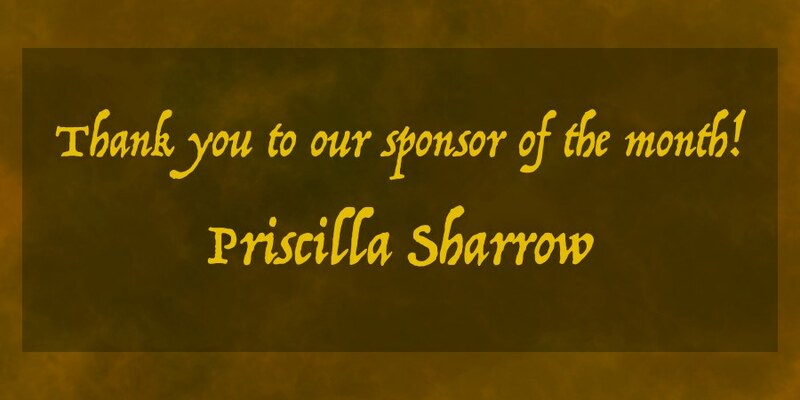 She directs the SoCal Christian Writers’ Conference and Mount Hermon Christian Writers Conference. Having founded The Christian PEN: Proofreaders and Editors Network, Christian Editor Connection, and PENCON, she is now co-owner of the Christian Editor Network LLC, parent company to those organizations as well as The PEN Institute. Thanks to our patron support on Patreon, we’re able to offer an edited transcript! Erin: Hey everyone! Welcome, welcome to the lovely deep. We’re excited because we have a guest with us. It’s Kathy Ide. I’ll let Karen tell you all about Kathy! Karen: Well I don’t know that I can tell you all about Kathy, but I can tell you if you’ve been in Christian publishing for any amount of time, you’ve undoubtedly seen Kathy. You’ve undoubtedly met Kathy. She’s kind of done at all. She’s an editor, a writer, a mentor. She has books that have been published. She directs conferences. She founded the SoCal Christian Writers Conference down in Southern California. And she’s been the director of the Mount Hermon Christian Writers Conference since 2016, and she’s doing a phenomenal job. One of the reasons that we wanted to ask our dear Kathy—the other thing you will find out about Kathy is that she has a sincere and loving heart that wants to help people and that’s evident in everything that she does—so one of the reasons that we asked her here for our podcast is because, number one, conference season is going to be starting for 2019, and we want to get you folks ready for that. Number two, we just want to hear what God has taught her in the midst of all these amazing things that she’s been involved in. So Kathy Ide, welcome. Kathy: Thank you so much Karen and Erin. I love doing this kind of thing. Erin: So Kathy, let’s put you on the spot. On this show we talk about the deep and everyone has a different concept of what that could mean, so what does the deep mean to you? Kathy: I love what you shared with me when you asked me to do this, about there being two aspects of the deep. One being going deeper with God, and the other referring to the deep places in our lives that we experience. I thought a lot about that ever since you shared that with me. I think we can go deeper with God in any season of our life. You know, we have these mountain top experiences where we go to a retreat center like Mount Hermon and we’re just on the mountain top having a great time with God. We’re going deeper with Him because we’re focused on Him. And then we have our everyday lives, and we can choose to spend time with God, get to know Him better, go deeper with Him. When we’re in the valleys, it’s harder sometimes to rely on ourselves, and therefore it’s harder sometimes to trust God even though that’s what we need to do when we can’t rely on ourselves. Kathy: But then sometimes we get into places that are really, really deep. We feel like we’re at the bottom of the ocean with shackles and weights around our ankles. There’s nowhere to go, and we can’t even see God or hear Him because all we can see and hear is that ocean surrounding us. In those deep places, sometimes it’s easier, sometimes it’s harder to really feel God’s presence. Yet that’s the time when God can come alongside us and surround us. If we put our focus on Him instead of on the deep that we’re in, He will be with us. He may not rescue us from those deep places, at least not immediately. I know with scuba divers in the ocean, maybe there’s an emergency—there’s a shark or a rip in your suit or whatever. You want to go straight to the top, but you can’t go straight to the top. You have to go gradually. And that’s what God usually does in those really deep places—help us gradually out of those deep places whether the circumstances change or not. Kathy: Yes, absolutely. I think once you’ve been in those deep places, and God has helped you through them, you can then help others go through their deep places and help them turn their focus on God as well. Karen: Do you guys remember a singing artist whose name was Twila Paris? Karen: She was way back when. She had a wonderful song called “Wounded Healers,” and that’s what we become. We become wounded healers because we’ve had the wounding ourselves. We’ve been through it, and then we’re able to understand and to help heal others with…well, understanding. With compassion, rather than with black-and-white thinking. Erin: I think one of the biggest parts of that is the trust we learn to develop. I like the metaphor of the scuba diver that you were using because if you do that straight up shot, that’s dangerous. That’s not good for you. Karen: Speaking of trusting God, Kathy, talk to us about how you came to be the director for the Mount Hermon Christian Writers Conference. And they all asked me, “What are the qualifications?” I didn’t know, but they asked if I could find out. Karen: Right, right. Here am I, Lord, send Aaron. Kathy: Yes! God must have somebody in mind, but it couldn’t possibly be me because I don’t have the time. I had just launched the SoCal Christian Writers Conference. I was very busy with that on top of my editing business, on top of trying to write my own stuff. So I thought it couldn’t be me. Karen: Oh no, Lord, that would be too hard even for you! Well, I wasn’t surprised when they called me for an interview because, after all, my bio. And I said, “No. I really don’t. But I’m pretty good at delegating, so if I had a big enough team I could probably do it.” So I was almost self sabotaging the interview to the point where when I hung up I was just sure there was no way they were ever going to call me back. But as soon as I got over about three months of shock, I realized that because of the way it happened, this really was God’s choice. I really was who God wanted to be in this position. Then if that was the case, I didn’t have to worry about anything. He wouldn’t have chosen me if He knew I was going to wreck the conference. Unless of course He wanted to wreck the conference. But I don’t think He does. Frankly, as I thought about everything you would need to track in order to direct the writers conference, I wanted to jump off a very tall building. I am not a detail person. Erin will tell you, “Karen is not a linear thinker.” You have to be a linear thinker to do that. Kathy: Absolutely. I think when I took on this job I was aware of some of the scope of it. As I did the job, I found out there was a lot more involved then I ever thought there was. It’s a much bigger job than I even imagined, and I knew it would be big. But when God gives you something big to do, you have to rely on Him, because I know I can’t do this myself. Even though God has equipped me throughout the years that I’ve been doing all kinds of things in my life. I realized that a lot of things I learned over the years were things that I needed to have in my background in order to do this job. So He has equipped me, but He equips me on an every-single-day basis. Kathy: He does the things that I can’t possibly do. I don’t know who He wants to be on faculty. I rely on Him to send me people and give me the right direction in the decisions. As our friend Steve Laube told me the first year I was director, “You know, you can’t wreck this. Don’t worry.” And he’s right. Because it’s not my conference, its God’s conference. He’s going to do things through me. I just have to show up for work. Karen: What do you feel were the main lessons you got from taking on this challenge, now being a couple years out as you look back on it? What were the lessons or the gifts that God had for you? Kathy: Oh, so many. As far as gifts, you know I’ve always loved Mount Hermon, and being kind of at the helm of it just feels so special. That alone is just a gift. I constantly feel like really? I’m not qualified for this. But God says I am, so because of Him, I am. But as far as lessons, it’s just a deeper knowing that He is in charge of this. I’m not. A deeper knowing that He’s in charge of all the areas of my life. I know especially when writers go to a writers conference, they think, “Oh, if I could just meet Karen Ball. If I could just connect with Erin Taylor Young, then they could make my publishing dreams come true.” And yes in a practical sense, the people you meet at the conference can be that next step in your writing journey. But we tend to focus so much on our plans for that. We’ve read the bios online, and we know who the right people are to meet. And then we can’t sit at that person’s table. We end up sitting at somebody else’s table because the first table was full. And then the “somebody else’s table” was exactly where God wanted you to be. So I think just trusting that He knows what He’s doing. We have the faith that God knows what He’s doing, but trusting is putting one foot in front of the other and actually stepping out and doing the things that we say we have faith in Him to do. So a lot of it is just realizing what a gift this is, realizing that even as difficult situations come up that I’ve needed to deal with over the past couple years, even in those, He has me there because He knows I will listen to what He has to say. And I need to do that. I need to listen so that I’m doing what He wants me to do and taking the steps He wants me to take, even when those steps are challenging. Were there other specific things that helped you know that this really was what God wanted you to do? That’s a big part of it. But after I took the job, there were little things like, oh we needed to have these little things like tickets with a tear-off thing on the side. And I said, “Oh! I know how to do that!” Because I’d learned it in a job twenty years ago. So even the little things where you say, “Okay, I have stuff in my background that God put there because He knew I was going to be here, and I know how to do this. Because God has prepared me.” And if I don’t know how to do something, God brings people into my life to help me figure it out. Karen: It’s that whole Joseph thing: for such a time as this. You had no idea that all those things that happened to you would bring you to this place where you would accomplish this task that God had for you down the road. Had you known about that task that was down the road in those early days…again, really tall building! Karen: It’s God’s mercy that He takes us a step at a time and teaches us His sufficiency and His provision in all of that with each new step that we take. Erin: Let’s be really clear here. I’m going to guess that, while you were still feeling pretty confident that this was God’s will, I’m going to guess that it still wasn’t a completely easy task. I’m still struggling with the time commitment thing because taking care of the SoCal Conference as well as Mount Hermon, that is a lot of time-consuming stuff, in addition to editing and writing and all the other things. So every day I just ask God, “What do you want me to do today?” Because that’s pretty much all He tells me. And even when He tells me, sometimes what I thought was supposed to happen that day doesn’t. But I can still be confident that if there are distractions or interruptions, as long as I’m responding to them the way I believe God wants me to, I don’t have to worry about those distractions either. Because whatever I thought I was going to get done that day will get done later or won’t get done, and it’s okay because God is in charge. Karen: Yeah, my life philosophy has become: The detours are the journey. Karen: I think we have a good idea of what you wish attendees who come to your conference knew and took to heart. The whole thing about how they can trust God’s agenda and just relax and enjoy. What would you like your faculty members to know and take to heart about being at Mount Hermon? Kathy: Oh, that’s a good question. I think the faculty members have a lot of the same struggles with different specific details. But a lot of the same struggles as the conferees because as faculty, you’ve got all those added responsibilities. You’re going away from what you do on a regular day-to-day basis for God. You’re putting that aside for a week and trusting that nothing is going to blow up while you’re gone. That the family will be okay, that your jobs will be okay while you’re gone for a week. What I encourage—and I’ve encouraged my fellow attendees even in my early days of Mount Hermon and still encourage attendees and faculty—find a time during your week at Mount Hermon when you can take an hour at least and get away from the main hub of the conference. Take a walk in the redwoods. Walk beside the streams and waterfalls and listen for God’s voice. Let this be a retreat for you, too. If you just spend the whole week working, you will have missed one of the best benefits of Mount Hermon which is that retreat area feel. You can hear God’s voice so clearly at Mount Hermon. Not when you’re constantly on the go teaching, conducting appointments, that kind of stuff. Those are all important, obviously, or we wouldn’t have hired you to be on faculty, but find an hour or so in your schedule where you can get away and be alone with God whether it’s in your room or in the redwoods or wherever it is. Take that time to refresh because if your cup is full you can’t give what you’ve got in your cup to others. Erin: It occurs to me that not everyone knows what the Mount Hermon Christian Writers Conference is. Give us a brief fifteen-second version of what Mount Hermon even is. Kathy: Oh, that’s tough in fifteen seconds! Go to writers.mounthermon.org. That’s the really quick one. Mount Hermon is an opportunity for you to connect with the top people in the Christian publishing industry. To meet with them one-on-one to get their feedback on your writing journey as well as on your specific manuscript that you’re working on. And to hear from God, where He wants you to go next. It’s a place where you can make lifelong friendships. A place where you can make connections that you may not be able to make anywhere else. It will change your writing journey. It will change your life. It will inspire you and move you forward to the next step in the journey that God has for you. Erin: I can totally seconds all of that. I feel like Mount Hermon was one of the most critical conferences that I went to as a new writer. One of my favorite things about Mount Hermon was, of course, the atmosphere. The redwoods. What I noticed specifically the last time I was there is that the whole place feels like it’s a place of prayer. It’s steeped in prayer. There’s no explanation other than that the Holy Spirit is so present. The other thing I love about Mount Hermon is that aspect of networking and relationships. People like Steve Laube just sitting in the central lounge at 10 o’clock at night, just there to talk to you. I credit Mount Hermon with meeting Karen—the people I met there who put me and Karen together. That is one of the most wonderful things about writing conferences in general, but especially Mount Hermon because of all of the time that’s devoted to that kind of networking. Kathy: Mount Hermon is a full-time year-round Christian conference center, so every employee, everyone who is on those grounds 24/7 prays for all of the events at the conference, for all of the people who come to the conference. For the writers conference we have a great prayer team who is very actively praying all year round for the faculty, for the attendees, for everything that happens. Going back to your question about how did I know that this was God’s will for me? A part of that was knowing that those people chose me because they had prayed about it. Kathy: They pray about every decision they make about who to hire very deeply. And if they had prayed about it, and if they were choosing me, then I was the answer to their prayers as well as my own. Karen: Kathy, it’s time for us to wrap up. Do you have one final word of wisdom that our listeners can utilize for today? Some application, some recommendation for them as the conference director, as a writer and editor, and all of those things? Kathy: My favorite thing to share with writers especially, but this is true for anyone, is that if God has called you to write, He has a plan for what He’s called you to write. He knows how long it’s going to take for you to learn how to write and learn how to do it well and attend conferences and get the critique group and all the steps along the way. He even knows when life is going to get deep and you can’t write for a while. He knows all those. But He also knows who He has in mind to read what He has called you to write. And when that person is going to need to read it. So all along your journey you don’t have to worry about, “Oh I have to get this done and I have to get this done by deadline.” Well you might have to get it done by deadline if you have a publisher, but you don’t have to worry about the timeline because God’s timeline may not be the same as yours. Probably isn’t. But His timeline will result in what He has called you to write landing in the hands of the people He knows are going to need to read it at exactly the right moment. Karen: I love that. Well friends, as we finish up today, if you’re contemplating going to a writers conference in this new year, why not go check out Mount Hermon? I think you will see that it’s got a lot of wonderful things for you. Kathy, give us the date and website one more time. Kathy: It’s writers.mounthermon.org. It’s always over Palm Sunday weekend, so you can know when that is. It’s always the weekend before Easter. This year the pre-conference is April 10-12, and the main conference is April 12-16. The pre-conference is a couple days before, when we have mentoring clinics, and the main conference starts Friday at dinner and goes through Tuesday at breakfast. Karen: What can you get from a writers conference? You can get networking. You can get teaching. But more than anything else you can get fellowship from people who understand you and who are for you. This is one of the biggest differences between being a writer in the Christian market and a writer in the general market, and that’s that we’re for you. Everybody else is for you. There’s none of the competition, there’s none of the resentment. And if there is we can pray about it together! Kathy: We’re all on the same team. If God wants your book to be published, I want to help you work that out. If God wants my book to be published, I don’t have to step on you in order to have that happen. Because we’re all working for the same boss. Karen: Kathy, thank you so much for being with us and taking the time. We’re just delighted that God has lead you into this new adventure. And as we look at our own careers, at our own lives, we look forward to seeing where God has to take us next, too. Kathy: I love that. Thank you so much, Karen and Erin. God bless you both. Have you been to the Mount Hermon Christian Writers Conference? What was your favorite thing about it? 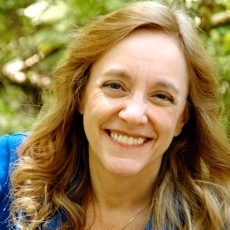 Discover the Mount Hermon Christian Writers Conference with director Kathy Ide! Connect with Kathy at her website KathyIde.com. 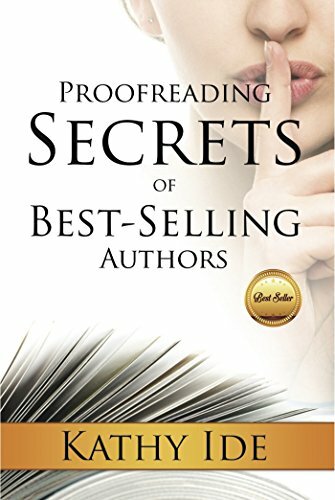 Be sure to check out her wonderfully helpful book Proofreading Secrets of Best-Selling Authors. There’s a serious problem with the Mount Hermon Christian Writers Conference. It’s addictive! If you do go, don’t expect it to be a one time thing. You’ll be unable to resist the temptation to keep going back because it’s so wonderful!.